State Representative David Simpson says God made cannabis, and the government doesn’t need to fix that. 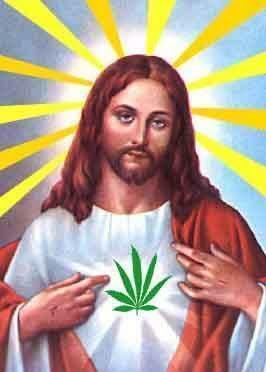 Did God give us marijuana for a reason? It sounds like a stoner question, but a conservative Christian lawmaker in Texas is arguing that since God made cannabis, the government should regulate it like any other plant. State Representative David Simpson of Longview introduced a bill Monday that would remove any mention of marijuana from Texas law, and set the plant to be regulated like tea or tomatoes. If Simpson’s bill passed, it would place sales and property taxes on buyers and growers, respectively, but it wouldn't be marked up with a so-called sin tax. Second, he said, the government’s role should be to punish people who are doing wrong. Marijuana users, especially medical-marijuana users, aren’t hurting people. He cited Proverbs 3:30, which reads, “Do not contend with a man for no reason, when he has done you no harm,” and verses from Romans 13 that say the role of the civil magistrate is to punish wrongdoers. He argued that people should be free to use cannabis for its positive medicinal and commercial purposes, like treating seizures, assisting cancer patients, or creating rope and paper. Simpson also makes the traditional limited-government arguments against cannabis criminalization. Americans should have the freedom to choose how to use marijuana, and if a person chooses to use the drug irresponsibly, the solution “is not to prosecute them and separate them from their family, but to lovingly engage them and be their friend,” he said. One problem Simpson’s bill might face is its failure to address regulatory questions. One concern leading up to the legalization of marijuana in Colorado and Washington, for example, was the risk of “diversion,” in which cheap, legal pot spreads into other states where it’s still illegal.